Acknowledgment must be expressed to the many scholars, scientists and writers whose theories, works, monographs and correspondence have been mentioned or very briefly quoted throughout this book with appropriate credit. Special thanks is given the publishers of the Encyclopaedia Britannica, Encyclopaedia Britannica, Inc., for permission to quote pertinent passages from various editions of that reference work as noted in the text. I also express my indebtedness to Mrs. Anne J. Richter, Mr. Jacob Steinberg, Mr. Erik Friis, and Mr. Phillip C. Flayder man for guidance in publication. All rights reserved. This book or any part thereof must not be reproduced in any form without the written permission of the publisher, except in the cases of brief quotations embodied in critical reviews. And Nature, the old nurse, took The child upon her knee, Saying "Here is a story book Thy Father hath written for thee." "Come, wander with me," she said, "Into regions yet untrod, And read what is still unread In the manuscripts of God." Hugh Auchincloss Brown, born in 1878, received the degree of Electrical Engineer from Columbia University in 1900 and immediately began a long and varied career in engineering and business. He has spent a good part of his time since 1911 developing the controversial theories which are the subject of this book. 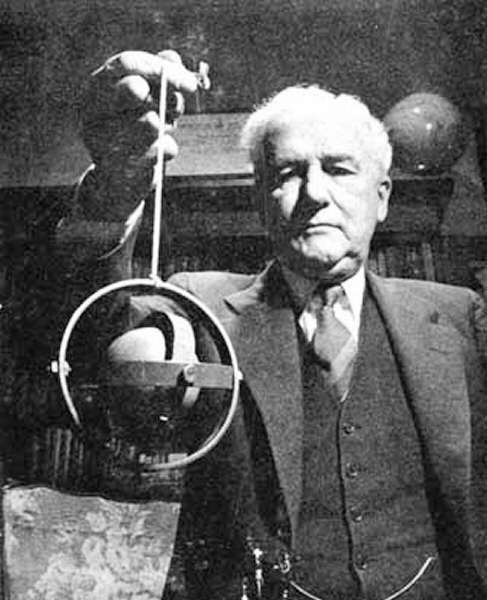 The attention accorded Mr Brown's theories and his earlier published manuscripts by mass media and scientific publications led to the amplified and detailed hypotheses presented here. Hugh Brown, listed in Who's Who and Men of Science, is a member of the American Association for the Advancement of Science, and other professional organizations. In preparing this book for press, he was assisted by Phillip C. Flayderman, distinguished for his work as an editor and teacher. WE are all aware that our earth is constantly changing. By the roadside or in the mountains we notice the layers of rocks, or strata, displaced from their original horizontal plane, and recognize the evidence of the shifting of the earth's so-called crust. In the cross sections of canyons we note the succession of layers-the permanent markings made by rock formation in earlier epochs. We uncover animal and plant fossils and by their depth and placement can construct a chronology of prehistoric life. The movement of the rivers carving out new beds and the pounding of the oceans on their shores all remind us of the endless motion of the land and seas. These, however, are but the surface phenomena of the evolution of our globe. 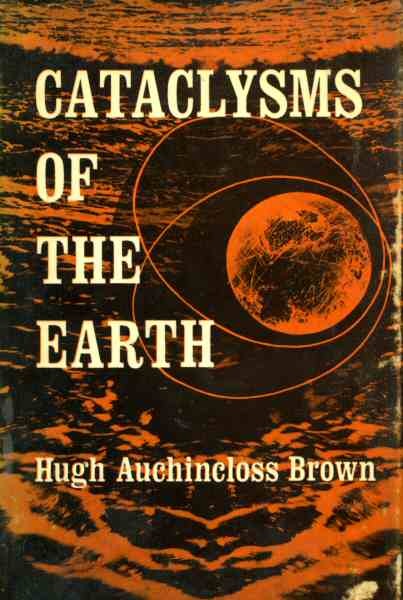 Rarely do we speculate on the forces constantly reforming the planet as a whole; rarely do we speculate on the nature and the effects of major upheavals and cataclysms that, on a larger scale, have characterized the history of the earth. We are all aware of the great stone book that is our earth, but rarely do we read its pages. The origin of our planet remains a mystery; of its life history, inscribed upon itself, only minutiae are fully known to man. The successive layers in the earth's crust reveal that the earth has not only undergone vast surface changes, such as the stratification of layers of rock and the formation of mountain ranges and river beds. On a much grander scale, the evidence suggests that the earth's axis of rotation has repeatedly changed its direction; during its journeys around the sun the earth has been rolling sideways as it spins in daily rotation, and shifting to a new Axis of Figure, i.e., the axis defining the geographic poles. Such an axial shift can best be understood when considered in relation to the earth's rotation about the Axis of Spin-the true axis of rotation in respect to the stars and irrespective of the surface terrain of the earth. The Axis of Spin is the imaginary Iine in space about which the earth rotates; it is constant in relation to the earth itself, but changes its position in space as described later. The Axis of Figure is an imaginary Iine through the center of the earth; it is defined by the arbitrary designation of the geographic poles, wherever they may occur during any epoch, and, being relative to the geography of the earth's surface, it changes whenever the earth sbifts about the Axis of Spin. Fig. 1. Deviation between true axis and Axis of Figure. Although the earth has continued to rotate on the Axis of Spin that passes through Polaris in the northern sky and the Southern Cross in the southern sky, it has in the course of time turned sideways or "careened" in its spinning; the geographic positions of the poles, the Equator, and the various zones of the globe, have been redefined in respect to the surface terrain. During such careening the Equator tilts, and the poles, defining the Axis of Figure, rotate away from the Axis of Spin. All areas of the globe, except those two points directly on the Axis of Careen, are altered in relation to the Axis of Spin, and hence in relation to their previous climates. A land mass or ocean, once in an equatorial zone, is shifted towards a polar position; the poles shift around towards the equatorial zones. The previous Axis of Figure is then replaced by a new one, determined by the new geography of the earth. At the beginning of each epoch, the Axis of Figure and the Axis of Spin coincide. Fossils of animal and plant life from previous epochs serve as telltale indicators of the climate prevailing when the strata in which they are found formed the earth's surface. From fossils and other evidence we are able to document the displacement of materials from their native climates to areas of new and often alien climates and to designate the amount of displacement and the date of earlier careenings of the globe. From the condition of the evidence, we are able to suggest the cataclysmic forces that took effect at such time. This evidence, however, provides us only with the symptoms of the forces at work on our planet. To fully understand why the earth has come to be as we know it, we must also analyse hour it came to be that way. We must construct a theory, consistent with all the data that we can collect, which will explain how such careenings have come about. And we must test this hypothesis by applying it to the earth as we presently know it. Here again, all the evidence mentioned so far will serve as our guide. Indeed, the discovery of the recurrent careening of our globe resulted from efforts directed at solving the mystery of prehistoric animal life. The value of any branch of science, even such a seemingly "backward" looking one as geology, lies not only in the knowledge we may gain about the past and the changes and developments that have occurred. For science to be of value in the present, for it to transcend the mere recording of the past and present, it must offer theories that are applicable to the future. Years of investigation and research, coupled with resolution and courage to follow wherever truth might lead, have established the certainty of a future world cataclysm during which most of the earth's population will be destroyed in the same manner as the mammoths of prehistoric times were destroyed. Such an event has occurred each time that one or two polar ice caps grew to maturity; a recurrent event in global history it is clearly written in the rocks of a very old earth. The earth is approximately 4.5 billion years old. Human beings have been living on it for at least 500,000 years and perhaps even one million years. To appreciate the immensity of these figures, one might imagine the age of the earth represented by the period of about one week; the duration of our own epoch, 7,000 years, is then but one second! By a similar analogy, men have lived on an earth that is one week old for just two minutes. It is evident that our own epoch is but a very short and insignificant period in the life of our planet and our species. In past epochs there have been ice caps at one or both of the geographical poles. The heat of the sun caused these ice caps to grow larger. As the sun heats the air of the hemisphere, the heated air expands, becomes lighter, and rises. The updrafts are greatest in the tropics. As the earth is virtually spherical, the currents of warm air converge at the poles. Meeting head-on from every direction, they create areas of air pressure, become colder and heavier, turn downward, reversing the direction of their flow, and pour back toward the Equator from the polar centers with high velocities. Thus, there is a continuous circulation of rising humid warm air journeying pole-ward and a down draft of cold dehumidified air returning from the poles at low or ground altitudes. Air acts like a sponge. When warm, it absorbs water; when cold, it cannot hold much water, and in cooling releases any surplus moisture to fall as rain or snow. Most of the snow that falls in the polar regions does not melt; the air temperature is too low. Instead, the snow is stored, changing to glacial ice. As this process continues through time, the ice masses at the poles constantly grow in volume. As the prehistoric ice caps grew larger, they tended to throw the rotating planet off balance because of the wobble of the earth, causing the earth to roll around sideways to its direction of rotation. Another analogy will make this clear. When you place a weight at the end of a string and then rotate the string in a circle, the weighted end of the string rises to a horizontal plane. Now, imagine yourself and the string as the earth, the weight at the end of the string as the weight of a growing ice cap, and imagine that, instead of intentionally swinging the weighted string, the rotational motion encompasses you, the string and the weight, as though you were standing on a rotating platform. In this depiction, then, your body represents both the present Axis of Spin and Axis of Figure of the earth. Your body does not move; the Axis of Spin remains the same. But your arm and the weighted string, here representing a radius of the earth, rise from the vertical (directed towards the pole) to the horizontal (directed towards the Equator). The sphere of which your arm and the weighted string are a radius is rolled sideways; the weight, representing the imbalance of an ice cap, rotates from a polar position to an equatorial position. The Axis of Figure, previously represented by your vertical arm, is now changed; the old Axis of Figure is now perpendicular to the Axis of Spin. The rotating equilibrium thrown off balance by the weight of the growing ice caps, causes the spinning globe to roll over on its side. But such an event does not occur lightly. The oceans, like water in a bowl that is suddenly moved, are cast from their basins to flood the land. The winds, previously settled into patterns dependent upon a stable globe, are whipped asunder by the sudden shifting of the globe. The sudden meeting of warm and cold air creates great pressure zones that spawn new rains and hurricanes to sweep across the earth. The forces of nature, loosed from their equilibrium, rage wildly in search of a new equilibrium. The Great Flood of Noah's day resulted from the latest careening of the globe. As we shall see later, records indicate that he had been living in what is now Madagascar or South-east Africa-then about as far from the North Pole of Noah's epoch as New York City is from the North Pole of our day. At that time a Iand area containing the ice cap was at the North Pole. And on that day the globe careened, without changing its speed of rotation, through about 76 degrees of latitude. The ice cap rolled to what is now called the Sudan Basin of Africa, where it simply melted in the sunshine of the tropics, leaving tracks of its flow-off. FIG. 2. A small wooden globe representing the earth, with a small lead weight at one pivot representing an oversize polar ice cap at the South Pole, is supported in trunnions so that the globe may move in any direction. When a horizontal spinning motion is imparted to this laboratory model by the untwisting of the suspending cord, the lead weight promptly moves to a horizontal position, demonstrating the careening motion of the earth. Every continent contains many groove marks of prehistoric ice ages. The slithering movements of towering glaciers have scoured the rocks over which they flowed, leaving a permanent record from which we can reconstruct their travels. And the groovings, all radiating from the center of the glacial areas, disclose the location of the former North and South Pole areas, corresponding in size to the areas now contained within the Arctic and Antarctic Circles. FIG. 3. Heights of continents. The present ice cap in Antarctica is merely the last of many thousands that have previously existed. Geological records reveal that it is the successor to a long lineage of glistening assassins of former civilizations of this earth. A minor ice cap also exists today, on the fringe of the Arctic Ocean, mainly in Greenland. The enormous size of the South Pole Ice Cap is difficult to grasp. Were it centered in United States with the South Pole in North Dakota, its area would extend to the Atlantic and Pacific Oceans, to Mexico on the South and to the northern extremity of Canada on the North. The ice would stand two miles high at North Dakota, and icebergs would flow off into both oceans on a slope of about seven feet per mile. It would take one thousand four hundred cakes of ice the size of Lake Superior, with an area of almost 32,000 square miles, to equal the ice mass now accumulated on the Antarctic continent. As large as the present ice cap is, however, there are two factors presently functioning to prevent, or at least inhibit, any immediate cataclysm similar to the ones of earlier epochs. The stress however, must be on the word "immediate," for these factors, one favoring the stability of the earth in rotation, and the other limiting the growth of the ice cap itself, existed in earlier epochs as well. The earth only approximates the shape of a perfect sphere. The diameter of the earth at the poles is shorter than the Equator, a fact which suggests a slightly flattened sphere somewhat the shape of an apple. It is for this reason that when land areas on the short or polar axis roll around to where the long axis had been, as happened during earlier cataclysms, some land areas go below sea level. A new arrangement of Iand and ocean areas and a new equilibrium or isostasy are established for the ensuing epoch. By the time the careening and the flood are over, the top strata of the earth become readjusted to the new Axis of Figure and a new equatorial bulge is in time established. FIG. 4. Cross section (greatly exaggerated) of the bulge of the earth during the previous epoch of time. Alaska was on the 13-mile bulge of the earth then. It is now roughly 10 miles nearer to the earth's center. The Sudan Basin Ice Cap was on the shortest diameter of the earth, at the North Pole. The Sudan Basin is now near the longest diameter of the earth, near the equator, roughly 10 miles farther from the earth's center. in the manner of a flywheel. This mechanical energy acts like one jaw of a nutcracker whose other jaw is the energy of the "throw" of the eccentric centrifugal force of the rotating polar masses. The energy of these two jaws pinches certain of the upper layers of the earth strata until the pressure exceeds the resistance offered by the materials of the earth and causes a crumpling and elevating of earth layers in some places. The energy of the "throw" increases with the square of the speed of motion which in turn increases directly with the distance off center, thus overcoming the stabilizing effect of the earth's bulge and causing the globe to roll sideways to its direction of rotation. Although this bulge is important dynamically to the maintenance of the equilibrium of the globe and the formation of the earth strata, it is smaller in size than is generally realized. Limited by the force of gravity, equal and opposite in direction, the bulge has a maximum of about 623 miles at any point along the Equator, with an equal shortening at each pole. Since the best of ivory billiard balls warp from their tendency to absorb moisture, the earth is actually a truer sphere than a billiard bill, being true within about one-sixth of one per cent. The other factor preventing an immediate cataclysm is a function of the dynamics of the ice cap itself. At present the glacial ice of Antarctica flows by its own weight and pressure, streaming through valley openings in the coastal mountains to the oceans where it flows away as icebergs. This disintegration, plus normal evaporation, provides a safety valve which gives our generation a chance to live on this earth. But only temporarily. The discovery that the great South Pole Ice Cap is growing, rather than waning, as previously supposed, confronts us with an entirely new understanding of the limited time during which our present civilization has been developing, and the precariousness of its continuation. We are faced with the alternative of limiting the growth of the ice cap or accepting a limit to the duration of our present epoch. The growing South Pole Ice Cap has become a stealthy, silent and relentless force of Nature, a result of the energy created by its eccentric rotation. The ice cap is the creeping peril, the deadly menace, and the divinely ordained executioner of our civilization, just as a sword, suspended by a single hair, hung above the head of Damocles at Dionysius's banquet, so today the baneful jeopardy of an impeding world flood hangs over all of us. This book will make it clear that, if we wish to continue to inhabit the earth we must control the further growth of the great South Pole Ice Cap. The elemental forces of Nature that are involved are now known and they are clearly identified. If we procrastinate and do nothing, the Flood will occur when the present polar areas move away from the earth's Axis of Spin, and the Poles of Figure move to latitudes of ten to fifteen degrees, or about 5,500 miles away from the North and South Poles of Spin. The earth will tip over, like an overloaded canoe towed in a circle behind a power boat, in consequence of the wobble of the earth and the resulting eccentric centrifugal force of rotation of the present South Pole Ice Cap and its constantly increasing weight. The earth of today may quite readily be compared to a top-heavy, dying out, wobbling, spinning top, getting ready to fall over on its side.